The pattern of the tiles is very close to natural stone. The tiles are harder, and more resistant to grinding, chemical erosion and thermal shock compared to natural granite. 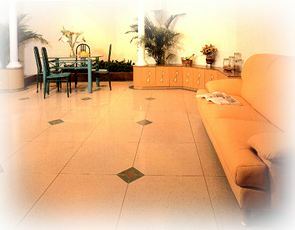 The tiles are well suited for walls and floors of high-class buildings and hotels. With modern hang, the tiles are the ideal decorative materials for the facades of shops and the external walls of high-class hotels and high buildings.